IBC container for liquid food are needed for the transportation of fruit juices, dairy products, oils, fats, etc.. For the transportation of those product categories the highest demands on hygiene apply. 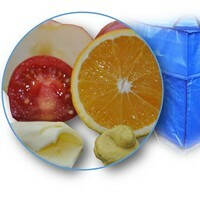 So-called Intermediate Bulk Container (IBC) are packaging systems which consist of an outer rigid or flexible packaging and replaceable hygienic liners. Rigid IBC system have the disadvantage in the area of return freight as well as they are expensive to purchase and in the maintenance. Our ORCA-IBC system offers all the advantages of a modern Intermediate Bulk Container Systems: economical to purchase, cost-saving in return freight and flexible to use in different applications.